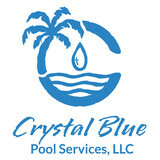 We are factory trained professionals that provide the highest quality of pool service and construction. 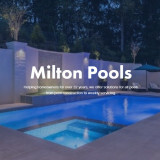 Milton Pools specializes in pool servicing and construction for both salt and chlorine pools, and can fix any pool pump, heater, filter, salt system or pool and spa control system. Blue Whale Pool Management, formed in 1990, is a full service company providing trained and certified Life Guards, Pool Maintenance and Management in the metro Atlanta and the suburbs: Cobb (Austell, Kennesaw, Mableton, Marietta), Paulding (Acworth), Douglas, Bartow, Cherokee( Woodstock), Forsyth, Hall, North Fulton (Alpharetta, Johns Creek, Roswell), DeKalb (Dunwoody, Doraville) & Gwinnett (Duluth, Lawrenceville, Norcross, Snellville) counties and cities. The company s principal; Morgan Vesali, has spent 25 years in the Pool Operations and Management industry. He rose from the rank and file of being a Life Guard at the YMCA in Buckhead while going to college and after graduation he incorporated his own pool management company, Blue Whale Pool Management. 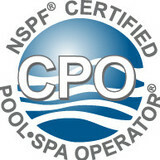 Morgan has a degree in Electrical Engineering from Georgia Tech as well as nationally recognized certifications in Pool Operation and Instruction, being recognized as a NSPF CPOI (National Swimming Pool Foundation Certified Pool Operator and Instructor). The Blue Whale team of Life Guards consists of highly trained and mature young men and women who have gone through rigorous training and certification processes to ensure they are the best of the best. Our Life Guards stand above all others and bring strength of character and a high level of discipline. Their top priority is making sure your pool is safe, clean, and fully operational. Tuxedo Pools Inc is a local company that is a part of the community, servicing Atlanta, Smyrna, Buckhead, and the surrounding area. The referrals we receive from our friends, family, and business associates is evidence of the high standard with which we conduct our business. Tuxedo Pools Inc. has been built on referrals. Tuxedo Pools Inc. is committed to customer satisfaction and offers only the highest quality product. Pool owners have high expectations and are not shy about sharing their experience when asked. We are happy to provide references. Companies who belong to organizations or guilds have to maintain the highest levels of professionalism to retain their membership. Atlanta Pool Liners of Atlanta Georgia is a 5 star rated Vinyl Liner Replacement Company. Our brand and impeccable reputation has never been associated with any other likeness of Atlanta Pool Liners. Our UnMatched Workmanship for swimming pool liner replacements has made us an award winning swimming pool company throughout Atlanta Georgia. InGround Swimming Pool Vinyl Liner Installation Experts. We will beat any legitimate pool liner quote offered by another reputable company by 5%. We have set a Swimming Pool Installation and Pool liner replacement standard with our Experience and Modern day swimming pool repair technology. When your vinyl liner is replaced by Atlanta Pool Liner you can expect top quality vinyl pool liner materials made in the United States. Call today for a free estimate on a in ground swimming pool installation, liner replacement or safety cover install. Thanks Atlanta Georgia and North Georgia for making MD Pools your Choice for Swimming Pools, Vinyl Liner Replacement, Safety Cover installations and Pool Renovations. Maintenance plans for differing lifestyles and budget requirements can be found at ASP, America’s Swimming Pool Company. Many different pricing plans are available. ASP provides budget plans that meet all household budget requirements using a monthly payment that is constant throughout the year. Budget plans include maintenance services as well as chemical usage. 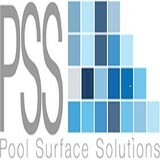 ASP has developed swimming pool maintenance and cleaning programs through consideration of specific customer needs. ASP believes that customers will remain loyal to ASP because of ASP’s superior service and not through the use of extended or long term contracts. A free consultation is only a phone call away! 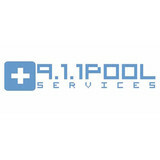 What should I look for when hiring a pool cleaning service in Brookhaven, GA? Pools and hot tubs are big investments, so you’ll want to make sure to protect them by hiring an expert who cares about them just as much as you do. Check that the Brookhaven swimming pool maintenance service you are interested in actually specializes in the type of pool you have — chlorine and salt water pools have very different needs, and in-ground versus above-ground pools will require different upkeep and repair methods. Also, know who will be doing the repair or service; if it’s one of the larger swimming pool services in Brookhaven, GA, request that you get same person every time, otherwise you could get inconsistency in treatments. Good Brookhaven pool professionals will keep a consistent schedule and log everything they do so that it can be referenced in the event that you switch companies or something does go wrong. Like any other professional, look for local pool cleaning companies near you with plenty of good reviews and relevant experience. Find a Brookhaven, GA swimming pool repair and maintenance specialist on Houzz. Narrow your search in the Professionals section of the website to spa and pool maintenance companies in Brookhaven, GA and read reviews and ratings for pros in your area.